One of my friends, Suzie of Suzie London, came to our Morley college draping class, wearing these. 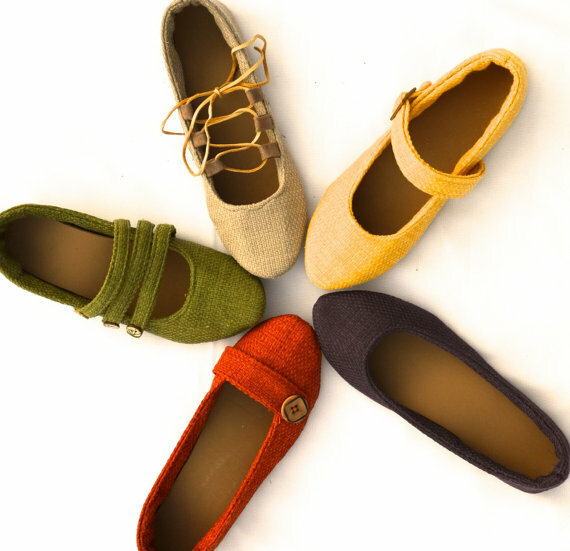 Hand made espadrilles! You can buy the soles to make an espadrille on Amazon and at John Lewis, but the twist here is that Suzie has printed her own design on to fabric using her home printer! Her shoes were very comfortable (I tried them on) and she is selling them on her own site. But you too could make summer footwear to match your outfit. There are quite a few patterns available on the internet to make the last. 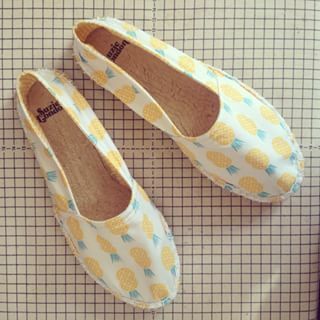 Suzie has lined hers with a yellow gingham and printed her own logo onto the sole. Shoe designer Cheri has a Shoeology selection on Etsy. These are really cute too. I can imagine these shoes made up to match an outfit. The shop owner, who sells a downloadable pattern with instructions, says you can make them as indoor shoes or apply a flexible rubber sole (she has a video to show you how). And finally I saw some offered by North English company Simple Way. I came across this company at the Knitting and Stitching show at Alexander Palace and I really liked their leather handles that you can sew on to a bag. They provide satchel and other bag kits that you can stitch up yourself. And shoes. I am not sure the designs are really my cup of tea, but I like the idea of being able to choose the exact colour you like and make them up yourself. 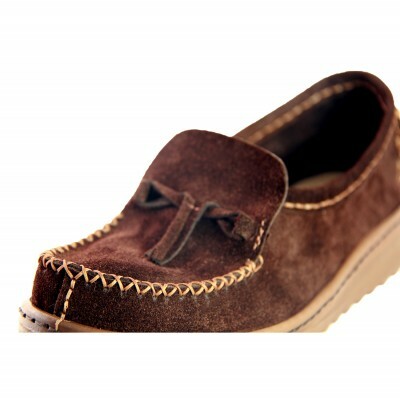 Some months ago Carolyn showed how she had made herself some shoes from wood and leather. She is one adventurous seamstress. I have made coats, hats, gloves and lingerie. But I have never made shoes. Have you? I have made shoes before. I bought a book from a company called “I can make shoes” out of the UK. Then I sourced everything that I needed here (shipping would have been astronomical), but they have complete kits that you can buy. I have made 3 pairs of flats and a pair of heels. It takes about a weekend and you get light headed from the fumes but I love my shoes. I can send you pictures if you want. I would love to see pictures Meagan. Please do send me a few. That would be amazing. Thank you. I draw the line at shoes. The only ones I have made are slippers for newborns, so sweet. I love the espadrilles! I’m not sure I would want to try making them but I would certainly buy them and support this artist!